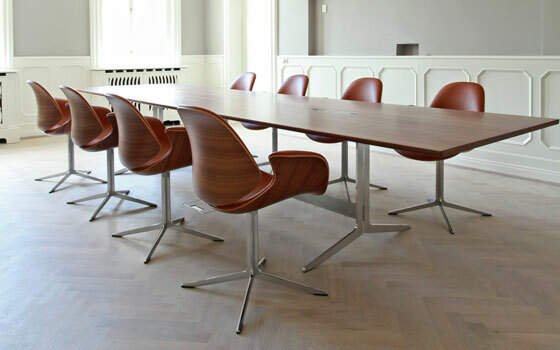 The design duo Salto & Sigsgaard had their winning bid from the Trusteeship Council Chamber in mind when they designed an exclusive series of conference tables. 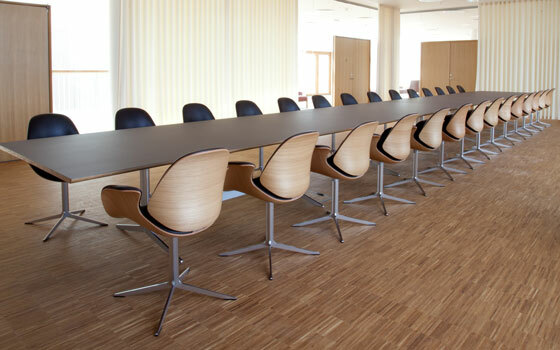 The tables are designed to suit the Council Chair and the series is perfect for exclusive interior solutions. 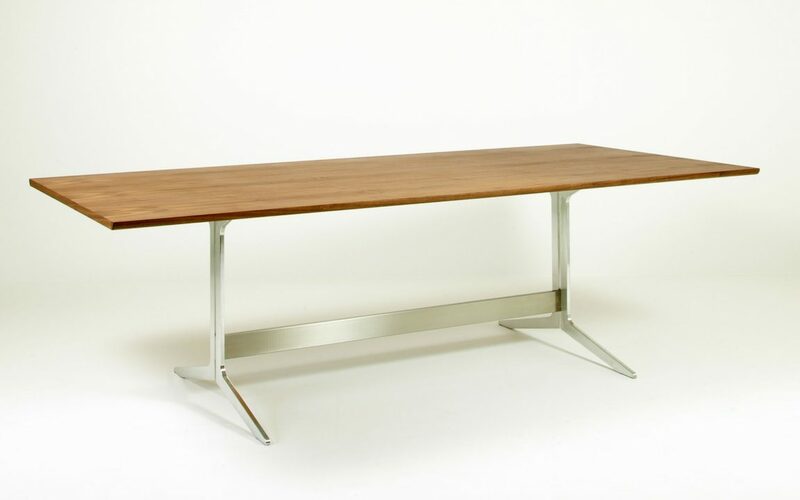 The series is available with a tabletop in linoleum or veneered oak, walnut, teak or Oregon pine with solid edges. The legs are cast aluminium with a polished finish. Furthermore, they are provided with a system for neatly managing cables. The tables come in three sizes with a rectangular or barrel shaped tabletop. Customised sizes can be produced upon request. Materials: Tabletop: Oak, ash, walnut, teak veneer or linoleum w/ solid edges.